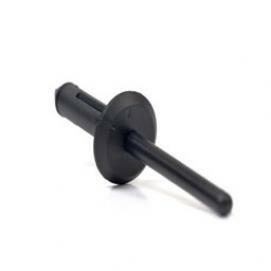 Marson precision moulded all nylon rivets are ideal for non-conductive, non-corrosive environments. They fasten plastic to plastic, plastic to metal and plastic to fibre-glass. On installation, three “legs”, on the blind side, form to securely lock the components in place and prevent pullout. 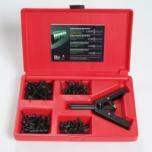 Typically used in the automotive industry both by original manufactures and in replacement parts. The most popular are listed on a spreadsheet HERE with sizes, diameters and related product codes, but do please email us if with any request for non listed items. The rivets come in boxes of 20, 100 and 2000 and are marked opposite accordingly. PLEASE NOTE THAT THERE MAY BE A LEAD TIME OF UP TO THREE WEEKS ON CERTAIN MARSON PRODUCTS.